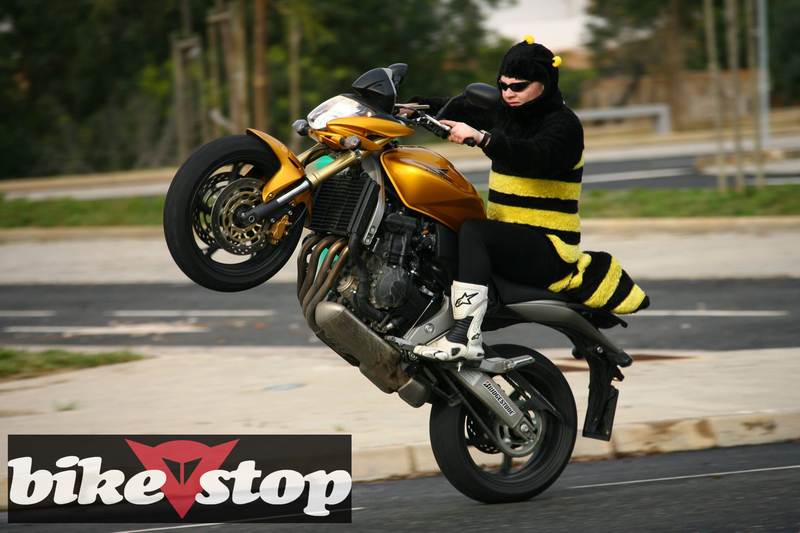 A man dressed as a bee, riding a wheelie on a Hornet. It’s back to 2007 this week for the launch of Honda’s second-generation CB600F Hornet, in a rather damp Portugal. 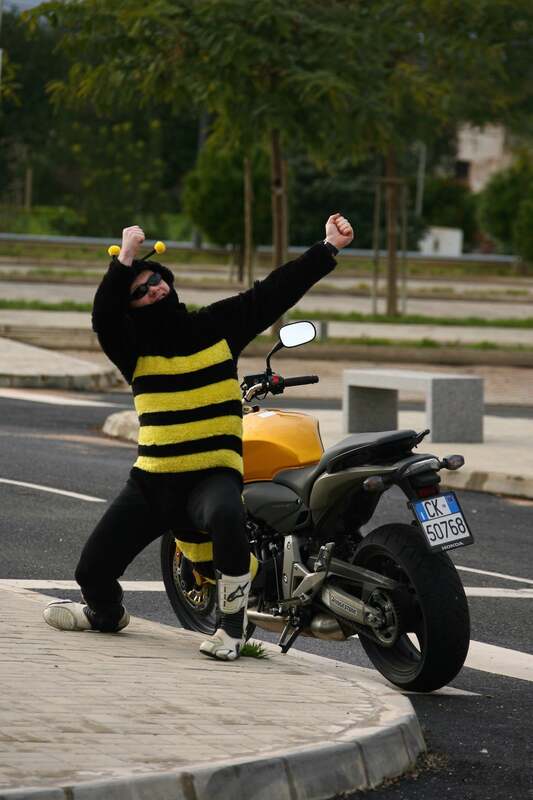 Now, we’re not saying the Hornet is a dull bike, far from it. But in an attempt to go above and beyond, the intellectual powerhouse that is the SB editorial meeting decided to spice things up with some fancy dress. The Croydon party outfit shop said this was as close to a hornet as they had. Fair enough. Five minutes persuading the (very sceptical) Honda big wigs that I wouldn’t die doing a wheelie without a lid on, a quick nod to top snapper James Wright, and we were away. Hurray! Back to the hotel for beer and skittles! Yay! No death, and time for a beer!